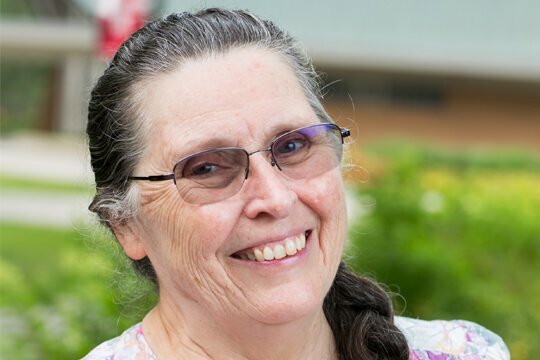 Professor Karna Doyle is known for three things: handing out chocolate Hershey’s Kisses to students, responding with “I am blessed,” and impacting the lives of uncounted individuals. After a notable 18 years teaching in the family life education program at Concordia University Ann Arbor, in August this spirited professor stepped into the next season of life: retirement. Doyle, who spent much of her career working in international adoption and foster care, created the curriculum and served as coordinator for the family life education program’s child life specialist, community services, and adult care service minors. The program, which includes coursework in areas such as family dynamics, child and adolescent development, and sociology, prepares students to build up families through a variety of professions that include youth program directors, foster or adoption care workers, and marriage and family counselors. In recognition of Doyle’s service, CUAA held an early surprise retirement party for her on May 3, 2017. The party was a scene of merriment as reunited Concordians from across the country, and even the world, filled the Earhart Manor to share their congratulations and reminisce over their days under Doyle’s tutelage. Jennifer Fieten succeeded Doyle on July 31, 2017. She brings 21 years of experience with children and families working in the roles of child development specialist, child life specialist, and professor. The fall 2017 Arbor Light magazines hit mailboxes the first week of October. If you are not on our mailing list, but are interested in receiving a free copy, call 734-995-7317.